22 inches at Main Lodge w/ 3.21 inches of water (pretty wet)! Sunday look like a Blue Bird Day. Next wet storm coming in next Wednesday night with a smaller AR. Remember….California needs all the water it can get!! Think of it this way…Odds are good that we will not have much of a forest fire season!! When can you remember a summer without smoke?? Everything on track for an exceptional precipitation event. 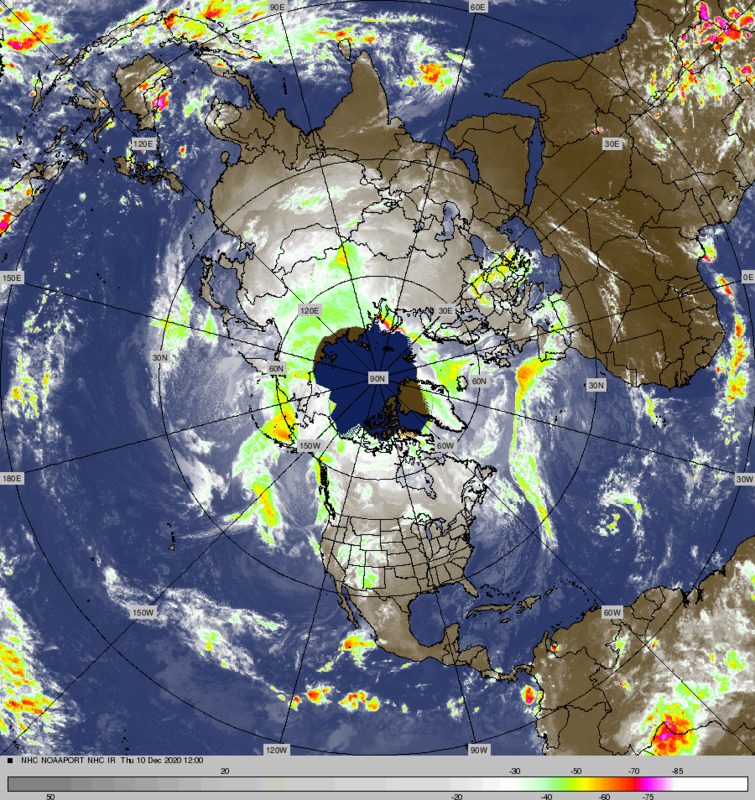 A moderate AR over the Southern Sierra in April is remarkable! Winters like 2000, 1988 and 1983 were quoted by WSFO RENO for the Tahoe area. The latest QPF from WPC is 7.7 inches of water in the bull’s-eye over the Southern Sierra by Saturday night. Mammoth Pass stands to receive up to 6.00 inches and the Town of Mammoth up to 3.00 inches. The snow level currently estimated at 7500 to 8000 feet for Friday is a low confidence forecast as it is not certain how quickly the cold air will get in here. I will update my Weather Letter tonight for Thursday AM. A weak cold front moved through Mammoth Lakes Monday morning bringing light snow showers over the upper elevations Sunday night and gusty winds over the upper elevations Monday. Following the front, gusty northerly winds developed and cooler temperatures followed. Snowfall was confined to the crest with amounts between 1 and 2 inches. The forecast shows warmer temps ahead with highs returning to the 50s for Tuesday through Thursday and lows in the 20s. An important pattern change is taking place which will be discussed below for the upcoming weekend and beyond. Latest Precipitable Water Tools from this mornings 12Z GFS show a 24 hour “AR” effecting Central CA and the Central Sierra between 5:00AM Friday to 5:00AM Saturday morning. Water EQ Progs expressing greater amounts for early this weekend. Same model run shows main effects of AR effecting the Sierra between Mammoth Lakes south to the bottom of the Southern Sierra where some 10 to as much as 14 inches of rain may fall on the west side and most weather favored terrain. This may create hydro-problems for the Southern Sierra West Side. Stay Tuned! Although this is just a forecast of a model run, the event is getting closer time-wise. The prog shows that the San Joaquin River basin may get up to 10 inches of rain according to the new GFS run. This is definitely a serious “AR” now. Well see if this forecast holds through Thursday for the Friday AM to Saturday AM period. Heaviest precip to occur Friday AM through Saturday AM. 700MB temps fall rapidly Saturday after 5:00AM. This 1st AR will precede the colder portion of the storm, mainly targeted for Northern CA and especially the coastal communities of Central and Northern CA, with a weaker extension into the Central Sierra. Nevertheless, some 2 to 4 feet of snow is possible over the crest by the end of this week. At this time. The Town of Mammoth will begin to experience the storm as rain Thursday night, with snow/rain mix Friday…Then all snow Friday night and Saturday. It is too early to forecast snowfall amounts in town at this time because it is unknown what the exact snow level will be at this time. I will update tomorrow Wednesday and Thursday for snowfall expectations for the Town of Mammoth Lakes. The Drums of El Nino are beating again. SSTAs over the Indian Ocean have not been colder at this time since 1986 and westerly wind burst are increasing. Scientists are being very careful at this time, about any hype about El Niño as they were burned so badly the Winter of 2016. Nevertheless, this one does bear watching. There is already a major coastal EL Nino occurring along the central coast of Peru causing major weather related issues to that region. Winter of 1969 April 1st record Broken…..No fooling…..Northwest slider to bring wind…..Light snow and cold temperatures to the Eastern Sierra….The weekend will be warmer with light breezes…..Major Change to an Active Pattern returing late next week with an AR potential. Latest update from DWP shows the Winter of 1969 record up on Mammoth Pass broken with 88.00 inches of water through March 29th, eclipsing the old record of 86.5 inches….Although this past storm that dropped light amounts has not been tallied yet, the record has already been broken…. The Manuel Survey will be taken possibly today or this weekend, will be released to the public, possibly later next week. Congrats to everyone that survived the Great Winter of 2017…the biggest water year through April 1st in at least 77 years. My records on Mammoth Pass go back to 1940. Northwest slider to bring wind light snow and cold temperatures to the eastern sierra. High Wind Warning Thursday through 8:00PM tonight. The upper jet will drive down through the Owens Valley tonight as a classic High Wind event that extends from Mono County today through most of Eastern CA to the Colorado River Valley by this afternoon. Antecedent conditions will make for quite the gradient as Bishop reached 80 degrees on Wednesday. A 500MB-1000Mb thickness pool of 540DM will drive through eastern slopes of the sierra late tonight and remain over the central and southern Great Basin Friday morning and into the afternoon. This will make for an unseasonably cool Friday with gusty NE winds over the crest. Expect light breezy weather, not windy Saturday and Sunday with most breeze over the crest diminishing during the day Saturday. Over all, it looks like a fair weekend with a warm up! The next weather system approaches Northern CA Sunday with winds on the increase again Sunday night. Snow showers possible Sunday night and Monday with cooler temps. Warmer weather with increasing clouds are expected toward the middle of next week. Major Long Wave trough setting up in the Gulf of Alaska during the 6th/ 7th with the possibility of several larger storms during the 2nd half of next week. I will have more detail in my next WX letter. At the Moment we may be influenced by an Atmospheric River that is mainly focused upon Northern CA the next weekend. High Temperatures the next few days will be in the low 40s climbing to the mid 50s for Saturday and Sunday. Nighttime lows will be in the teens and 20s. Spring Storms Bring Clouds….Wind and a Little Snow……It looks like the Mammoth Pass April 1st Record may be broken…. First of all I would like to thank all of those that have supported the “Weather Letter” this winter. Whether or not I do a weather letter next winter, I will still keep my blog going regardless. I will update it this Summer and Fall as well. It is an outlet for my passion of this wonderful and exciting science! Additionally, I will be resuming my blog on a regular basis like during past winters for free beginning May 1st. In the meantime, I will post more often during the transition in April…. This has been one of the most exciting winters I have ever experienced living in Mammoth Since 1978. I always wished that I could have lived in Mammoth during the famous Winter of 1969. This winter from what I can tell is pretty much as close as you can get to that great winter of 1969! The biggest difference that I can see was that the Owens Valley did not get the snow that it had during the winter of 1969 in January of that year. The weather maps this morning showed a weakening trough moving into Nevada. In its wake was a small impulse bringing some clouds, winds and not much else. 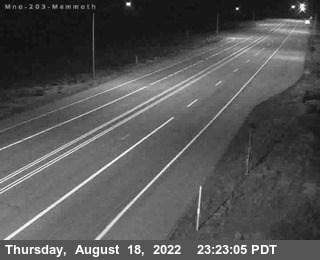 Mammoth Mt reported 1 to 2 inches of snow overnight. I just peaked at the 5 day means in the ECMWF and GFS. Both models have the mean ridge position too close to the west coast for a meaningful storm this week. The GFS (American Models) has more amplitude and so there would be a better chance of showers later this week like Thursday from a NW slider. Overall, this week’s weather looks like periods of unsettled weather with warming and cooling, (Typically Spring) with windy periods. For what it’s worth, the pattern does seem to be progressive with the mean ridge progressing east of California by next week. This may allow a belt of westerlies to move into our state with a significant storm about the 7th or 8th. As of 8:45AM Monday, both European and GFS models has a significant storm in their sights. This is contrary to last nights run of the European, which was dry that period. (Caveat Emptor) Remember this is week 2 in spring, so don’t get too excited yet! !